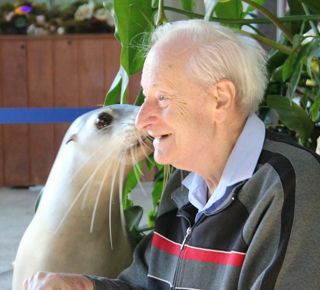 At 91, my father still loves a bit of adventure, holidays and especially animals. When my husband and I booked a unit at Coffs Harbour we decided to book a two bedroom unit and invite my Dad up from Melbourne to join us for the week. He was so excited at the prospect. The local attractions were many, but one of the highlights for him was the Pet Porpoise Pool. He got kissed by a seal, shook hands with a dolphin, fed a fairy penguin, got drenched by a huge fish, and was chosen to feed the performing dolphins from the stage. He was in his element! The harbour area held fascination for us all with the yachts and other marine craft, the fascinating birdlife, the successful and not so successful fishermen, and the thunderous waves breaking over the rock wall. A steaming hot fish and chip lunch topped the marina outing. Having stayed once before at the Terraces, this time we enjoyed the newly built Treetops facility with its heated pool and tasteful furnishings. The staff were pleasant and helpful in accommodating my father’s needs for accessibility. 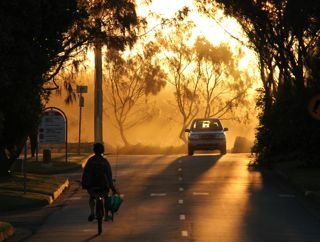 Our Coffs Harbour Worldmark holiday with my Dad holds many precious memories we will cherish for a long time. This entry was posted in (NSW) Coffs Harbour and tagged australia, Coffs Habour, dolphins, holiday, new south wales, resort, vacation ownership, worldmark, Wyndham Resorts. Bookmark the permalink.